Construction is one of the largest industries in the world and Surveying has always played an important role in any construction project. SES delivers key functions to the build process and supports engineering projects from the initial earth works to final completion. The key functions for our construction surveyors is the establishment of accurate Primary Survey Control, reliable Setting Out, factual As-Built information and producing clear legible AutoCAD drawings. 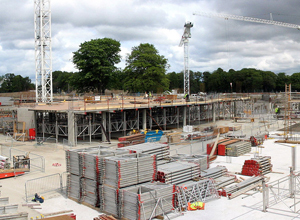 SES have been involved with some of the largest developments around London and the South East for nearly 25 years. With the directors and senior management being involved throughout the development of Broadgate and Canary Wharf during the 1980's, carrying out surveys and setting out at Heathrow Airport for more than 16 years and working on most of the prestigious construction projects undertaken in the last two decades we can demonstrate our experience and knowledge gained giving immense benefits to our clients. 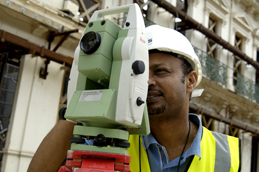 We have developed our own brand of construction surveying offering our clients a comprehensive service at all stages of the construction process, with our wealth of experience we can offer our clients advice at tender stage or at the preliminary phases of the project as to how the survey control package should be approached, with fixed price solutions provided, our clients can be satisfied that cost overruns will not occur. Our attention to detail at all levels of our company from providing technically proficient in-house staff, our Health and Safety procedures, project coordination and our detailed cost management allows our client to be reassured that at all times the most professional service has been procured.